When Lexus owners from both Brandon and the Tampa region need foreign auto repair, they turn to the auto mechanics at Bergman’s European Auto. Just like the other Lexus drivers in the community, you can count on our team to quickly and correctly service your vehicle. Communication is key with us, and you will be kept informed each step of the way. While your Lexus is being looked after by our auto mechanics, you can rest and relax in our waiting room, utilizing the WiFi, enjoying a snack, or sipping a cup of hot coffee. If you have somewhere you need to be within the Brandon and the Tampa region, take advantage of our shuttle service. If you need one of our transportation solutions, just make a reservation ahead of time, so we can do our best to accommodate you. “I am very satisfied with the service and information provided to me. I will continue to take my vehicle to Bergmans whenever service is needed. The people are knowledgeable and friendly and the work was completed in a very reasonable time. I will be sure to recommend Bergmans to my friends and family.” -- Mark T.
Unfortunately, the industry of foreign automotive repair has picked up a few stereotypes along the way. Our team at Bergman's European Auto is looking to turn that reputation around. With us, you can expect to receive honest and friendly service. 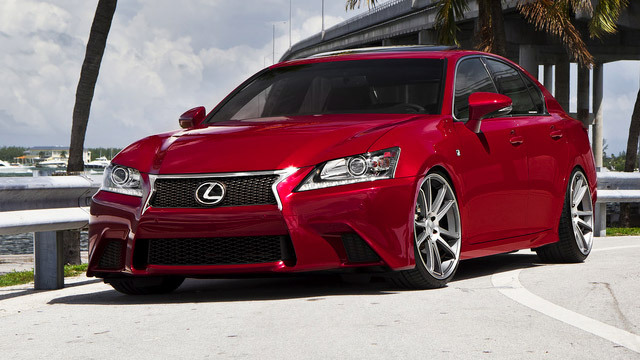 You will know the “what, why, and how” of your Lexus service. Schedule an appointment today, or stop by at 112 Edwards Avenue, Brandon, FL 33510.